The Win iPhone XS Max & more with VideoProc Sweepstakes is open to anyone from all over the world who has reached the legal age of majority in their jurisdiction of residence. 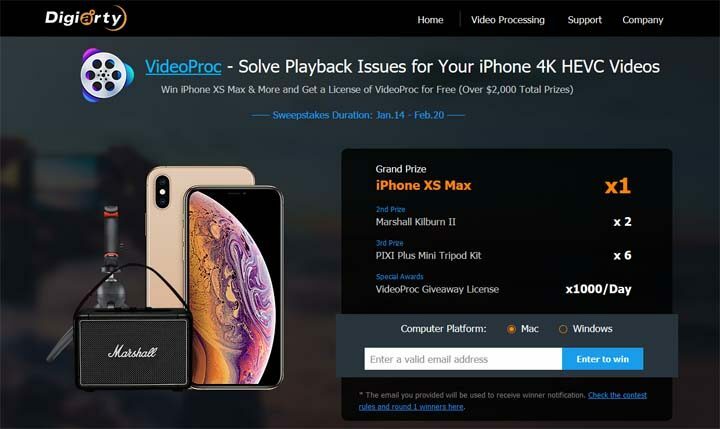 The Win iPhone XS Max & more with VideoProc Sweepstakes ends on February 20 at 11:59pm EDT. Visit the videoproc.com/iphone-video-processing/iphone-video-converter.htm, simply submit a valid Email Address as 1 entry.